Crimes very often left footprints on electronic devices, from computers, mobile phones, smart televisions, smart household appliances and smart watches. 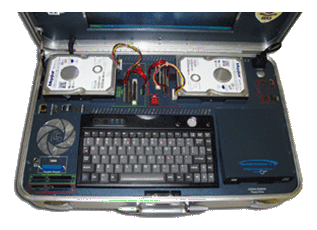 Digital Forensics is the growing profession to investigate with information from digital devices. This talk helps non-experts to understand what is Digital Forensics and the areas it touches on, including Incident Response and Investigations. Understanding this topic help us to avoid being a cybercrime victim and what to do to preserve evidence if something bad happens to us. Phil is also going to explain the career structure in Digital Forensics and how one can enter this profession. Phil Cobley is the Training Development Lead at MSAB. MSAB is the global leader in forensic technology for mobile device examination, with offices in Europe and in the USA, as well as a network of distributors across the globe. Phil is currently responsible for managing and developing the MSAB Training course curriculum, including working with internal and external partners to build and develop the MSAB online training platform. Also responsible for improving internal process, procedure and structure for training material storage, versioning, trainer access, and quality management. Before joining MSAB, Phil had been the Digital Forensics and Investigations Manager, instrumental in the setting up of the Bedfordshire Police Cyber Hub and Regional Cyber Protect Coordinator in the Police Eastern Region Special Operations Unit(ERSOU).